Ashford School is one of the UK’s leading coeducational, independent schools and was voted Independent School of the Year 2010/11. The School was endorsed as outstandingly successful in every category during the most recent inspection in 2014. Through its adventurous approach to learning its aim is to ensure children are ambitious, articulate and confident, with excellent social skills and a secure moral framework and, at the end of their time, gain a place at the school, university or college of their choice. 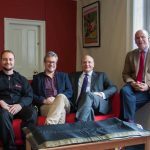 Kent Creative Show: A discussion about creative education and the importance of creativity in school with the team at Ashford School: Mike Buchanan (Head), David Young (Director of Development), Iain Rayner (Arts Department) and Sam Alldridge (Performing Arts Department). Host: Nathalie Banaigs | Recorded at Ashford School in March 2017 for the Kent Creative Show. Broadcast on Channel Radio. We don’t only provide fantastic membership benefits – FSB is also the UK’s leading business campaigner, focused on delivering change which supports smaller businesses to grow and succeed. Our lobbying arm starts with the work of our team in Westminster which focuses on UK and English policy issues. Further to this, our expert teams in Glasgow, Cardiff and Belfast work with governments, elected members and decision-makers in Scotland, Wales and Northern Ireland. As proud caterers at Ashford School, Holroyd Howe are delighted to sponsor the Kent Creative Awards. 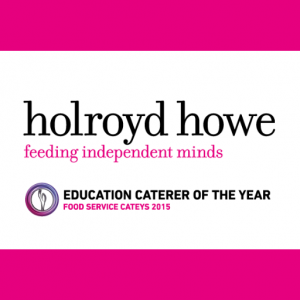 Holroyd Howe is an award-winning, Founder-led, British contract caterer who specialise in providing freshly prepared, nutritious food, exclusively for independent schools. 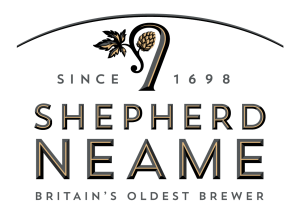 Shepherd Neame is Britain’s oldest brewer and can trace its origins back to the early 1500s. The fifth-generation independent family business produces Kentish ales of such renown that they are afforded Protected Geographical Indication. The brewery is based in the heart of hop country, in the medieval market town of Faversham in Kent. Its ales use 95% Kentish hops, which are combined with the finest malted barley and chalk filtered mineral water from an artesian well deep beneath the brewery. In addition to traditional favourites such as Spitfire and Bishops Finger, the brewery also produces modern beers, such as the Whitstable Bay Collection, Japanese lager Asahi and leading US craft beer Samuel Adams Boston Lager. Shepherd Neame beers have won in excess of 40 brewing awards in the last decade and quality is at the forefront of everything they brew. The brewery operates 328 pubs and hotels across London and the South East, including 267 tenanted pubs and 54 managed pubs and hotels. The estate includes urban, rural and coastal pubs and characterful boutique hotels, with 500 bedrooms across the estate. Shepherd Neame brews more than 70 million pints annually and exports 20% of its output to 35 countries worldwide. A Royal Warrant Holder to HRH Prince of Wales, the business provides more than 4,500 jobs in the UK. Moray Neame, Communications – Shepherd Neame Ltd, says: “Shepherd Neame are delighted to support local artists and are proud to have sponsored the Kent Creative Awards for the second year. 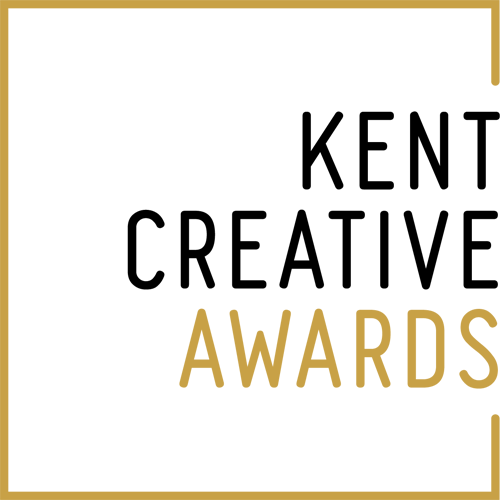 As part of the judging panel, we had the privilege of seeing some of the most creative work throughout Kent, much of which was spectacular and was recognised at the awards”. Visit the Shepherd Neame website. More about Shepherd Neame’ s corporate values HERE. Stormchasers Digital believe in thinking differently and enjoy solving problems. The digital agency getting creatives onto the best online platforms to publish amazing content, sell their work and measure performance. Websites, Social Media, Newsletters, Google Analytics, and SEO. All with a sprinkle of special sauce. Google and your customers love fast websites, snazzy newsletters, vibrant social media and relevant top-notch content. Your business needs it all to work together and understand the numbers behind converting visitors into buyers. Whether you want a one-off troubleshoot or ongoing management, it’s free to talk so call 01634 566321 for a chat!